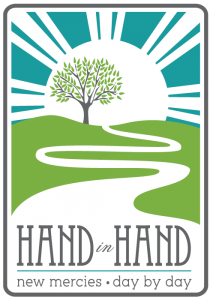 Hand in Hand Special Needs Ministry exists to come alongside families touched by disability to facilitate their participation in the ministries of First Presbyterian Church and to minister to them with the love of Christ and the hope of his kingdom. As we welcome people with disabilities and their families into our church, we want to begin building relationships with them and identify how we may come alongside of them to help facilitate their participation in the ministries at First Presbyterian Church. Our volunteer buddies will provide one-on-one assistance to those who would benefit from additional help during Sunday School and children’s catechism classes. This allows more focused attention to be given to those with disabilities and also provides family members with the opportunity to participate in worship and Sunday School classes on their own. Watch the Hand in Hand Kickoff Video from December 2014. Hand in Hand was featured in the Spring 2015 Mission to North America’s Special Needs Ministries Newsletter. Read the article. To learn more about Hand in Hand and how you can get help for your family or assist with this ministry, please email Hand in Hand.